It’s been 20 years since these cars were in production so many enthusiasts are now starting to pay attention to collector values also. 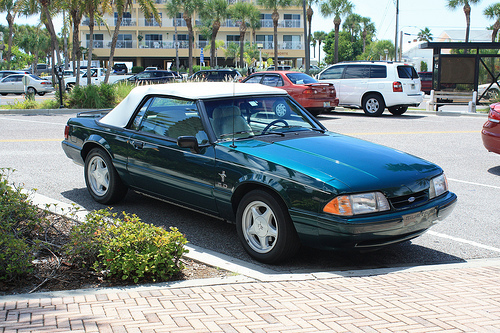 Whatever reason you have for beginning a project with a Fox body, the internet can serve as a great resource for finding information, advice and fellow enthusiasts to help you down the road to Fox body paradise. Here are some places to keep in mind as you plan for your project. The folks at Fox Mustang Magazine have put together an invaluable resource for anyone who needs information, tips, tricks, how-to articles and advice. These Fox fanatics hold events for enthusiast gatherings, and embark on projects to transform Fox body Mustangs into objects of envy. In addition, they cover news about aftermarket parts, racing and Ford Performance offerings. The feature stories on beautiful Fox-bodied rides are great for developing ideas for your own project. This is a website dedicated to the Mustang, and Stang TV has loads of information and project stories on the Fox-bodied Mustang. They also provide events coverage and tell you how to do it with videos. These guys have a great site that is dedicated to the Fox body Mustang. They have how-to articles, data tables, a downloadable calendar and host the Five Oh Forum, where you can get advice and camaraderie with other Fox body fans. The importance of finding a forum cannot be understated. You need to have people that understand your passion, folks that really understand where you are coming from with your love for the Fox. When it’s time to start chasing down those parts to create the Fox body of your dreams, this is the place to start. They carry performance and repair parts for body and chassis as well as engine parts and systems. Anderson Ford Motorsport stocks ignition and electrical parts, supercharging and nitrous boost systems, and also carry headers, exhaust and cat-back setups. It doesn’t stop there. Performance intakes, high performance throttle bodies and power pack kits that contain matched induction and exhaust components provide one-stop shopping. To round it out, Anderson also offers Ford Original Equipment parts, and all you have to do is give them a call for friendly service. Finally, don’t forget to check out our Mustang exhaust reviews.